Last week I agreed to take part in a 30-Day Photography Challenge (see previous post for details). Today the challenge was to post a photograph of something new. I decided to post a photo some Christmas ornaments I made last night. 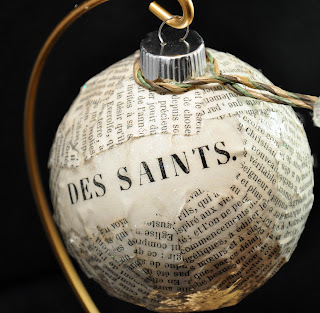 I made these ornaments using pages torn from an old (1863) French book on the Life of Saints. 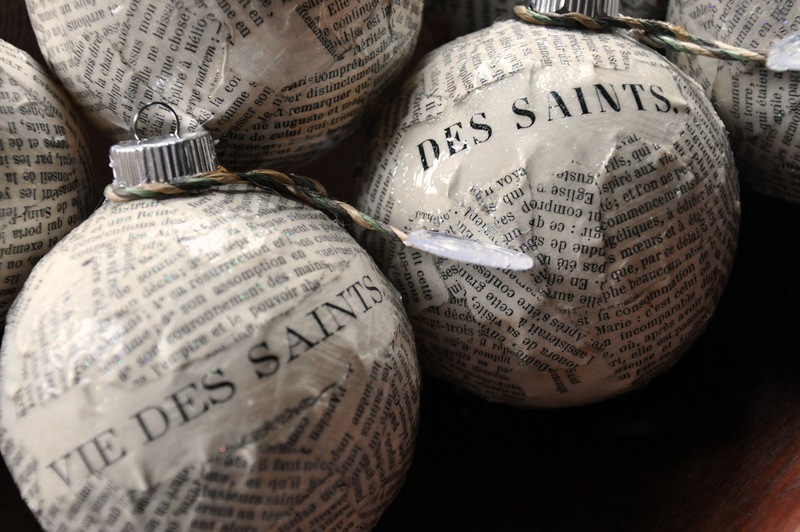 Actually, an interesting story goes along with these ornaments. I went to an antique store and asked if they had any old French books. The owner said there were over 170 vendors in the building and she didn't know what they each sold, but she vaguely waved me toward the back, right corner of the store. I hunted all over the first floor but didn't find anything. Finally, on the bottom floor, I found five books in French. Two of the books were extremely rare and cost hundreds of dollars. Three were part of a set but the vendor kindly agreed to sell me one. I paid for the book without even looking at the title. It wasn't until later in the day when I noticed the title: Vie des Saints. I had to smile that the book I bought to tear up and make Christmas ornaments was on the life of Saints. What are the odds of that? Serendipty at work again, perhaps?